From crispy meatballs to the ultimate veggie burger, here are eight fantastic ways to use artichokes. Spinach, fontina cheese and artichokes make a terrific, healthy pizza. Or use artichoke hearts for this fast flatbread featuring creamy kale. April Bloomfield's creamy artichoke soup gets added flavor from a layer of prosciutto. Or use Big Heart artichokes and leftover Parmesan rind in this simple soup. Chef Rolando Beramendi makes these incredible custards with fresh artichokes. Try these open-face focaccia sandwiches or these gooey ham and artichoke paninis made with pocketless pita bread. Marinated artichoke hearts from Umbria star in this delicious bread pudding. Or try this excellent version made with nutty Gruyère cheese. A small amount of beef in these artichoke meatballs helps hold them together. These delicate dumplings are crisp on the outside and have a warm, cheesy center. 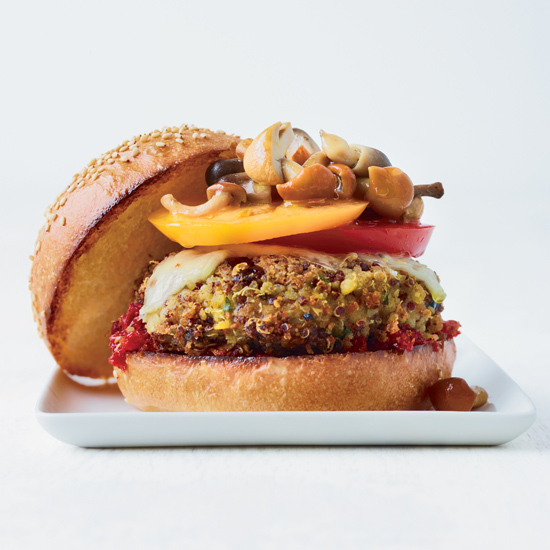 Jimmy Bannos Jr.'s veggie-packed burgers are made with artichokes, chickpeas, olives, asparagus and quinoa.